Dr Clint Bracknell & Kylie Bracknell – Nyungar language enthusiasts, creatives and performers. We’re a team. ‘Boomerang and Spear’ is our team branding. In the Nyungar language – from the south west of Western Australia – Kylie (or Kerli/Koilie) means ‘boomerang’ or ‘small boomerang’, and Clint (or at a stretch, Kitj) means ‘Spear’. As ‘Boomerang and Spear’ we work together on language projects and creative endeavours. We also offer tailored cultural consultation, script reading and personalised referral services. Kylie Bracknell (formerly Kylie Farmer) [Kaarljilba Kaardn] is an actor, writer, TV presenter, voiceover artist and theatre director from the south west of Western Australia – the Nyungar nation – and has worked in the performing arts industry for the past 20 years. As an actor, Kylie has appeared in television programs such as The Gods Of Wheat Street (ABC) and Redfern Now (ABC), films including Ace Of Spades, Stone Bros and SA Black Thing and theatre productions Black is the New White, The Sapphires, The Caucasian Chalk Circle, The White Divers Of Broome, A Midsummer Night’s Dream, Romeo And Juliet, One Day In ‘67, King Hit and Aliwa. She hosts the children’s television program Waabiny Time (NITV) and is a past presenter of the Marngrook Footy Show (NITV). 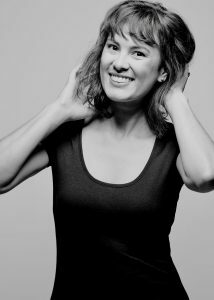 Kylie directed Windmill Baby as ‘Associate Artist’ at Belvoir Street Theatre and served as assistant director on The Business (Belvoir), Beautiful One Day (Ilbijerri and Belvoir) and Amy Goes To Wadjemup (short film). She was also co-artistic director for the large scale Welcome To Country event as a part of the 2006 Perth International Arts Festival. Kylie co-wrote the short film Main Actors (ABC, 2006) and has translated selected Shakespearean sonnets into the Nyungar language for a performance at Shakespeare’s Globe in London as part of their ‘Globe to Globe’ festival (2012). Kylie has coordinated and managed a variety of theatre, film and television, and radio industry programs. She worked as senior workshop leader for Yirra Yaakin’s ‘Sonnets in Noongar‘ schools program, script and acting coach for Ilbijerri Theatre Company, Program Manager of the Media and Screen Industry Indigenous Employment Program for Screen Australia, and manager of the Indigenous department at AFTRS. Kylie is currently adapting a Shakespearean work for stage in collaboration with Yirra Yaakin & Bell Shakespeare. Click here to contact Kylie’s agent. Dr Clint Bracknell is a musician, songwriter and ethnomusicologist. His Nyungar family from the south-east coast of Western Australia use the term ‘Wirlomin’ to refer to their clan and his award-winning PhD research focused on the aesthetics and sustainability of Nyungar song. Clint developed the Bachelor of Music (Contemporary Music Practice) at the Sydney Conservatorium of Music and is interested in the links between Aboriginal Australian song and languages, emerging technologies and creative futures. 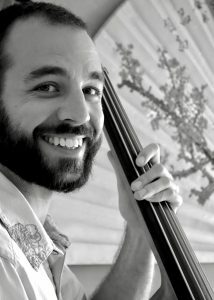 An accomplished guitarist, bassist and singer, Clint composes, produces and performs music for a range of different contexts. The Australian described his composition work as ‘masterful’ and his ‘live guitar and vocal qualities’ as ‘pure magic’ in 2016. He was nominated for ‘Best Original Score’ in the 2012 Helpmann Awards and recent theatre composition credits in include Skylab (BSSTC 2018), The Caucasian Chalk Circle (BSSTC 2016), King Hit (Yirra Yaakin 2014) and Shaun Tan’s The Red Tree (BGTC 2012). His music has also featured on international advertising campaigns and television programs. Clint earned an Australian Research Council Indigenous Discovery Award (2017-2019) to research the project ‘Mobilising song archives to nourish an endangered Aboriginal language’ with Professors Linda Barwick (University of Sydney) and Kim Scott (Curtin University). He was also the recipient of 2017 Wingara Mura Excellence Award at the University of Sydney, the 2016 Robert Street Prize for the most outstanding PhD thesis each year at UWA, the 2015 UWA Eileen and Aubrey Wild Music Research Travel Scholarship and the 2013-2014 State Library of Western Australia’s J.S. Battye Memorial Fellowship. Initially a high school teacher, he has received both secondary and tertiary teaching awards. Clint contributed to the United Nations International Expert Group Meeting on Indigenous Languages in 2016, regularly presents at research conferences and publishes scholarly articles and book chapters.